After a record 2016 grain harvest, increasing numbers of mice are posing a major threat to this year’s crops. An abundance of grain on the ground, good paddock cover and wet summer conditions have provided the ideal conditions for mice, with numbers exploding through many parts of the country. In parts of Victoria, New South Wales and southern Queensland, frustrated farmers have seen entire paddocks of this season’s crops wiped out by mice, despite investing in costly baiting programs. Demand for off-the-shelf mouse bait products has increased the price from around $2/kg to more than $4/kg. In South Australia, demand for bulk mouse bait from mixing stations is also at an all time high. With no similar program interstate, South Australian mixing stations have been taking orders from farmers in western Victoria. Yorke Peninsula agronomist Chris Davey says the dry start to the season and damage from mice is making the 2017 season “one of the most frustrating I’ve seen in 20 years of being a consultant”. In a tweet, Mr Davey posted photos showing the damage done to a client’s paddock on the Northern Yorke Peninsula where lentils were re-sown twice and even three times in certain patches, despite the farmer having applied up to eight applications of mice bait. Hail knocked grain to the ground in November 2016, providing accessible feed for mice Tweet by Chris Davey, supplied. “The hail storm that came through in November last year knocked a lot of grain onto the ground, so there’s been an abundance of food for mice for the last six or seven months”, he said. Mr Davey estimates that the costs involved in baiting and re-sowing the paddock will cost the farmer between $110 and $140 / hectare on top of a yield penalty for this year’s harvest. A lack of rain during April and May is compounding the already difficult conditions faced by many growers. “There are guys around here who have been farming all their lives who tell me they’ve never seen such a dry April, May and early June before. Even a small rainfall event could help to turn the season around, he explains. “We’ve got good subsoil moisture carried over from 2016 and we had good summer rains. Another 10mm would help to join the moisture bands up and give plants the boost they need to access moisture further down in the soil profile. 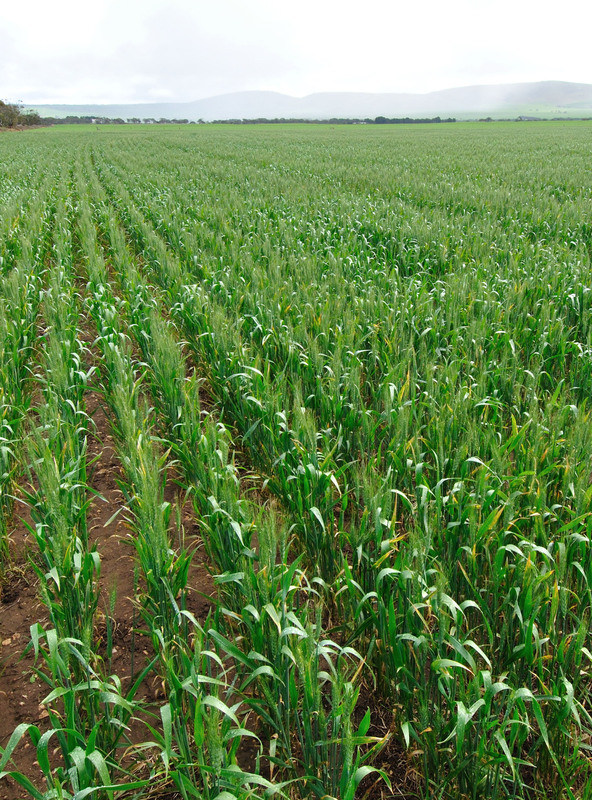 “Especially on heavier soil types – there are areas around here where sown crops haven’t germinated at all. There are also patches where seed has shot, but rotted and have needed to be reseeded”. Dry conditions have caused cracks in the paddocks on the Yorke Peninsula, South Australia. Tweet by Chris Davey, supplied. The Bureau of Meteorology is predicting a drier than average winter for many cropping regions in Australia, influenced by temperature changes of the Pacific Sea and Indian Ocean. Get the latest industry news, jobs and more straight to your inbox.